OAKLAND HOME INSPECTIONS’ is the leader in the home, well & septic and commercial inspection industry earning top placement with Google. 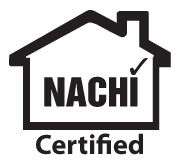 We are also a Michigan licensed building company [OAKLAND BUILDERS LLC] #2102183305, and Nationally Certified with the U.S. Department of Housing and Urban Development located in Washington, DC., to perform certified FHA/VA/HUD and 203-k compliance inspections including; foundation certifications, structural certifications, roof certifications and Mobile Home Foundation Certifications. 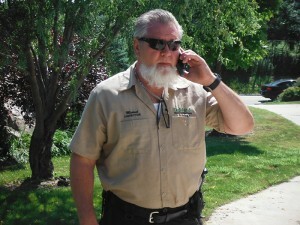 Sadly, window installers, roofers and even landscapers are holding themselves out as home inspectors to unsuspecting buyers on the basis of being listed on a “fee paid” website by organizations with the appearance of validity; ASHI, NAHI and others will place the inspectors name on a website labelled “certified” for $300.00. Since there is no legal duty there should be the moral duty for every buyer to personally investigate the home inspection company before hire, to protect you, your family and costly investment. Often times franchised inspection companies will send out new inspectors with minimal experience. 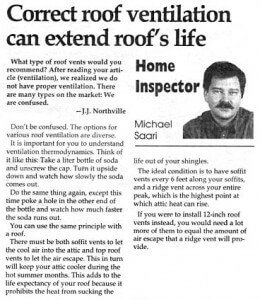 That doesn’t happen with Oakland Home Inspections because every inspection is personally performed by both Mike and Marcus Saari, a father and son team with vast experience and knowledge in all aspects of building phases from building codes, to materials and including material recalls and explanation between vertical, horizontal and diagonal foundation cracks some being in shear and others in pull for force. Every home buyer is asked to attend each inspection and shadow the inspectors and feel free to ask questions during the entire inspection process! It takes more than holding membership to a “fee paid organization” to be counted worthy of holding title to; “Master Certified Home Inspector”. Nationally Certified Home Inspector and Consultant with the (FHA) Federal Housing Administration and Department of Housing and Urban Development located in Washington, DC. Fill out the form to the right or feel free to call and speak with us for further information! Mike and Marcus look forward to hearing and speaking with you! Michael and Marcus are absolutely incredible! I submitted a request for inspection on the Company's website, and Michael contacted me immediately. He was friendly and helpful, and we set something up right away. Michael's credentials cannot be beat!! He is more experienced than any other inspector we considered using. He is also certified to inspect wells and septics. I knew I was in good hands at all times. Michael and Marcus walked me through the inspection, and helped me understand everything. They took their time with me, answering all my questions, and making sure I felt completely comfortable with their explanations. They made sure to explain to me what needed to be repaired and by when (e.g.., which repairs were higher priority repairs). They were very friendly and encouraged us to contact them after the inspection if we had ANY questions. Extremely professional, extremely courteous, and most importantly - EXTREMELY knowledgeable. I received the report that same day. I mean it when I say that I will not trust any other inspectors! Thank you so much Mike and Marcus, You guys were wonderful and very knowledgeable. Myself and Matthew felt so good about our decision after you inspected our home. We really appreciate it. I'll be recommending you to anyone I know who needs a home inspection, you guys were awesome.